How Will a Florida Divorce Affect Your Retirement? With growing numbers of older Americans choosing to get divorced, important questions linger about how a divorce will affect a person’s retirement. While this is certainly a very real fear for older Americans navigating divorce, it is also important for younger couples to consider, too. Divorce can have a significant impact on your retirement, and being aware of the different ways in which it can impact retirement is the first step in planning to address the negative effects divorce may have on your golden years. Many couples have a significant attachment to their home, and conflict often arises over who will be able to remain in the home if a couple is not planning on selling it to divide the profits. However, as valuable an asset as a home can be, choosing the home over other assets might not always be the best bet for your retirement. You may end up with a valuable property, but that will do little to increase your retirement savings or provide you with financial security later in life. It will be difficult to use your house as a way to finance long-term elder care or meet other potential needs that may arise during retirement. An experienced Florida divorce attorney can work with you to understand your long-term goals and work to negotiate a divorce settlement that meets your needs. Another commonly overlooked aspect of asset division occurs when couples are determining how to divide retirement accounts. For example, if the couples have maintained relatively equal retirement accounts but one is a traditional IRA and the other is a Roth IRA, there are tax consequences that will follow. 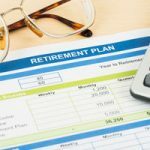 The spouse taking the traditional IRA will be subject to taxes when withdrawing from the account, and failing to consider this factor leads to uninformed decisions that can have a significant impact on your financial security down the road. 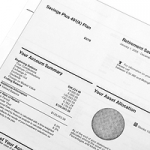 Dividing an IRA can be a bit trickier. You will need to make sure that your divorce agreement specifies that your division of the IRA in question will be treated as a transfer incident to your divorce. It is extremely important that the divorce agreement state this because you will otherwise be subject to tax consequences. The IRS will instead treat this as a transfer or rollover. If your divorce agreement does not state this as well as state the percentage of funds divided between both parties and contain a record of the account numbers between which funds are being transferred, you could be subject to both a withdrawal and potential tax penalties. 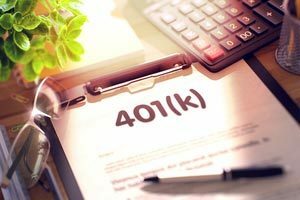 Additionally, if you are considering dividing up a 401(k) plan or money in a spouse’s pension but wish to do so tax free, you will need to have a qualified domestic relations order specifying the amount of the account you are to receive. After that, you can deposit the funds into a separate tax-sheltered account, but you need to make sure that the QDRO specifies that you have access to the account. This process should help you avoid tax implications at this stage, but again it is important to understand the structure of the asset itself as well as the structure of the tax-sheltered account you have established for it so that you can adequately prepare for retirement. The benefit you are entitled to receive based on your own work is less than the benefit you would receive based on your ex-spouse’s work. You must meet all of these preconditions before being eligible for retirement benefits under your former spouse, but factoring in the potential income from social security and/or disability benefits can help you make informed decisions about your own economic future, including retirement. Another aspect to note about retirement benefits is that if you have remarried, you will not be able to qualify unless the subsequent marriage has ended by death, divorce, or annulment. Additionally, you may still be eligible for these benefits even if your ex-spouse has not applied for them as long as they are eligible to apply for them. There are several other important aspects to keep in mind should be considering your eligibility to receive benefits under your ex-spouse, and working with an experienced Florida divorce attorney and other professionals can help you understand if you might be eligible. No matter your age or the length of your marriage, you should make sure that you thoroughly discuss any aspects related to financing retirement. Specifying how assets will be divided can help you achieve closure so that you do not need to revisit a painful experience later in life. Additionally, the more thorough and direct your proposed divorce agreement is, the more likely the court is to accept it without requesting modifications. 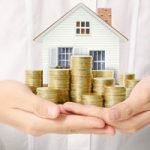 The court will probably not discuss the potential retirement consequences of your property division, which is why it is essential that you thoroughly investigate your options. One of those options is to enlist the services of an experienced financial planner who works with clients facing divorce. 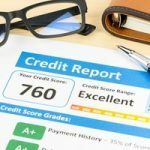 This is especially true for individuals with heavily-intertwined finances or going through a divorce with a large amount of assets at stake. Often, an experienced Florida divorce attorney can provide valuable insights into the importance of financial and retirement planning. 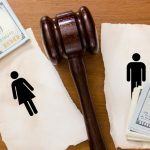 They also work with clients facing similar questions daily and can tap into a variety of resources to help you feel secure in the financial and retirement planning that is part of your divorce. Contact Scott J. Stadler to schedule a consultation where you can find out more about the Florida divorce process as well as how it may affect you now and into your retirement.